My dreams of taking my brand of black girl nerd raps to the Motherland are coming to fruition! The music video for my Metroid-inspired track “Power-Ups” was recently featured in AfriPOP! 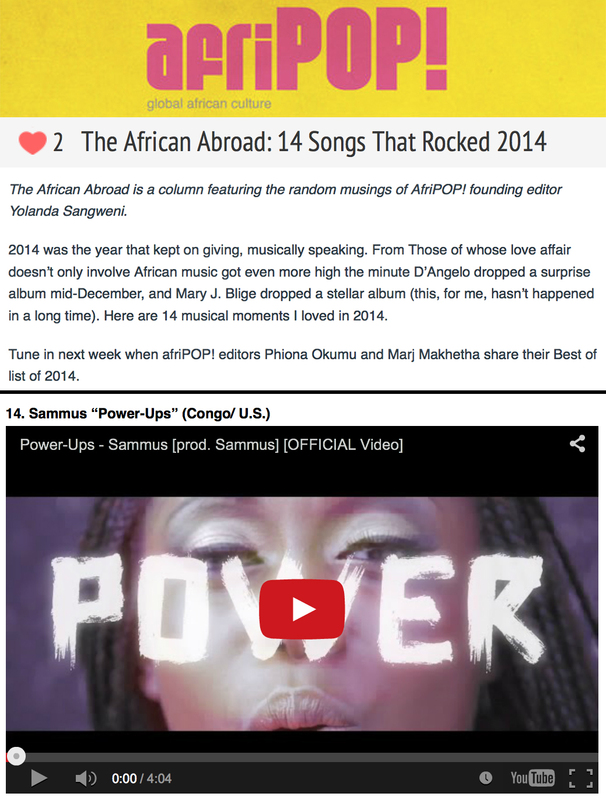 magazine’s year-end list: “The African Abroad: 14 songs that rocked 2014.” I’m so honored to be sharing this list with amazing artists like fellow Congolese rapper Well$ and Liberian singer/rapper Mapei, whom I used to blast back when I first started rapping in ’09. To see the full list head HERE and then make sure you leave a comment.